An online MBA healthcare administration or online master’s in healthcare management degree can be the start of an exciting career in the healthcare industry. The field of Healthcare Management has seen a dramatic rise in recent years. According to the Bureau of Labor Statistics, medical and health service management jobs are expected to grow by at least 20% over the next 9 years. With career options at almost every level of education, more and more individuals are entering this important area of healthcare. An individual with an online master’s in healthcare management is qualified to work behind the scenes in many healthcare vocations, including managing a healthcare facility, a specific clinical area, or even a medical practice for a group of physicians. 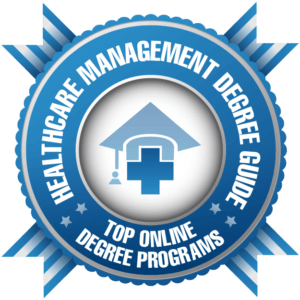 This article ranks the top online Healthcare Management master’s degree programs in the United States, based on our own internal review as described here. We looked at schools offering an MBA or Health Care Management degree program, favoring those programs with accreditation through the Commission of Accreditation of Health Care Management (CAHME). We then looked at data from The National Center for Education Statistics including student/faculty ratio and average graduate tuition rate. The list is then ranked according to a combination of how much coursework can be completed online, the average cost of attendance for graduate students, and student to faculty ratio. Specializations, awards and achievements earned by the school or department have also been noted. The online Master of Health Administration offered by The George Washington University is a CAHME accredited program for highly driven professionals seeking a career in health care leadership. Students are engaged in state-of-the-art video coursework with content available 24/7. The program just takes two years to complete and includes courses covering areas like leadership and ethics, quality improvement, law and regulation, and management. Four short immersion experiences give students the chance to connect with faculty and peers while developing high level leadership skills. The School of Health and Medical Sciences at Seton Hall University features a top online master’s in healthcare and administration accredited through the CAHME. Students come from all over the country and have experience working in settings like insurance organizations, assisted-living facilities, and hospitals. This 42 credit hour program uses different online learning methods including chat sessions, discussion boards, and webinars. While the majority of the program can be completed online, students meet in person three times over the course of the two year program. The two-year CAHME accredited executive master in health systems administration offered by Georgetown University is designed for working health care professionals. Students complete the majority of coursework online, supplemented with three week-long intensive session held on-campus and another held off-site. By using this hybrid model, students develop personal relationships with peers and faculty and have connections to the Georgetown campus and community. Courses cover areas like health economics, planning and marketing, and health informatics. The Mailman School of Public Health at Columbia University features an executive program in Healthcare Management covering organizational leadership and management, health policy and public health, and health systems. This 24 month cohort based program accepts new students each September. Each cohort has between 30 and 35 students engaged in an online learning platform and coming together one weekend a month for in-depth study. The program has aligned it’s competencies and objectives with the CAHME and the CEPH. The executive master of healthcare administration offered by the University of Minnesota is designed to foster professional development and lifelong learning by healthcare administration professionals. Students are part of a cohort, completing asynchronous online coursework and attending periodic on-campus sessions. Courses cover areas like healthcare management ethics, power and influence, and health economics. This 42 credit hour program takes 25 months to complete and the majority of coursework is offered online as students only spend about 26 days on campus. The David D. Reh School of Business at Clarkson University features an MBA in Healthcare Management accredited by both the AACSB and CAHME. Both full-time and part-time students are welcome and courses can be completed online. Full-time students can earn their degree in about two years by completing seven core courses, seven advanced courses, and two electives. Graduates have found success working in consulting firms, health insurance companies, and hospitals. Saint Louis University offers an executive master’s in health administration that combines online learning with monthly face-to-face sessions making it an ideal program for working professionals. Courses cover areas like health economics, health care marketing, and the management of health care organizations. Graduates have found success working in hospitals and health systems, managed care, consulting, and medical group management. The CAHME accredited master in health administration executive program at the Medical University of South Carolina is a 54 credit hour program with convenient online coursework. Students are health care professionals who want to advance their career in a leadership role. There is no internship requirement since students are already working in the field and applying their knowledge and training. Faculty are industry experts with current knowledge in the field. The curriculum in relevant and keeps students engaged through an interactive online learning platform. Des Moines University features a 48 credit hour master of health care administration that takes just two years to complete. The majority of students are employed full-time and have between one and five years of work experience in the field. Coursework covers broad health care administration areas including financial management, health information management, and health policy. The majority of coursework is offered online, taught by faculty members with professional experience in the field. Students come together on-campus for three five-day immersions over the course of the program, allowing them to network and build relationships with faculty and peers. The Alvah H. Chapman Jr. Graduate School of Business at Florida International University features a top CAHME accredited online MBA in Healthcare that takes as little as 18 months to complete. Students earn valuable certifications such as the Lean Six Sigma yellow and green belt. There are three on-campus residency requirements to enhance the online experience with networking, professional development, and mentoring opportunities. Students with a passion for health systems in another country can participate in the international study program and complete their Advanced Certificate in Global Health Care Administration. The University of Missouri features a top online master’s in health administration through the School of Medicine and the Department of Health Management and Informatics. This 42 credit hour program is delivered in a blended format with short campus visits interwoven throughout the program to gain valuable on-site training. The program is accredited by the CAHME and is one of the most affordable programs to make our list. 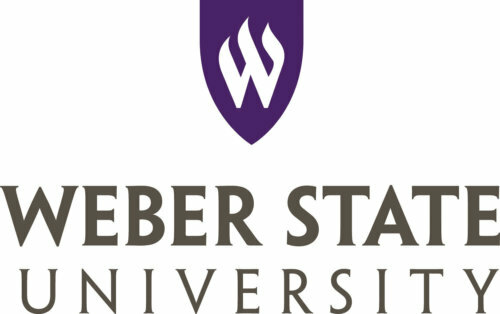 The Dumke College of Health Professions at Weber State University features an executive master’s of health administration designed to meet the needs of working professionals. Students gain skills in management, organization, and communication. This CAHME accredited online master’s in health administration can be completed in just five semesters. Students meet together on campus six times over the course of the program during the weekend, allowing students to continue employment while working on their degree. The top executive master’s in health administration from the University of Alabama at Birmingham is a flexible program training students in areas like operations management, epidemiology, strategic management, and quality improvement. Students only need to come to campus seven days three times each year and can complete their degree in just two years. Applicants must have at least five years of relevant work experience, allowing them to build upon their professional training. The online master’s in health administration in health policy and administration from Penn State World Campus is a 49 credit hour program designed for professionals who want to make a difference in the lives of others through leadership. Penn State World Campus offers this program in conjunction with the Penn State Department of Health Policy and Administration. Online health administration master’s students can get the flexibility they need to complete their degree while remaining employed, gaining valuable experience. The graduate Healthcare Management degree prepares graduates for a career working in insurance, consulting, home health care, or medical group practice. The Isenberg School of Management MBA program is an AACSB accredited program featuring a concentration in health care administration. The program has been recognized by Financial Times and U.S. News and World Report as one of the best MBA programs in the world. There are no on-campus residency requirements and students can earn their degree in under two years. 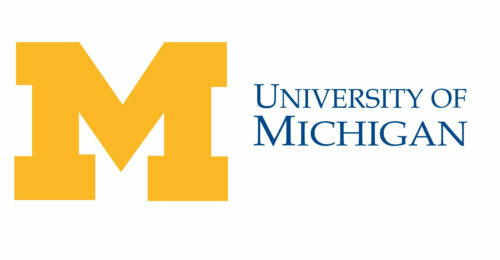 The executive master’s program in Health Management and Policy from the University of Michigan is a hybrid program designed for health care professionals who want to advance career as future managers, analysts, and leaders. This cohort based program incorporates online learning with nine intensive three day weekends. Students can earn their degree in just 20 months, while maintaining their personal and professional obligations. The University of Colorado Business School features a dynamic online MBA in health administration for health care professionals. The program is a member of the Business School Alliance for Healthcare Management, dedicated to advancing and improving health care management education. Students can complete most coursework online and need to come to campus one week every July and January for intensive on-campus sessions. Courses cover areas like healthcare management information systems, health sector supply chain management, and statistics. Quinnipiac University features an online MBA with a health care management track ranked one of the best in the nation by the Princeton Review and U.S. News and World Report. The Health Care Management Track includes the same number of credits as the traditional MBA, but with 15 credits of health care management courses. Courses cover financial management, legal aspects of health care delivery, quality management in health care facilities, and integrated health systems and managed care. Graduates are prepared to work in a variety of areas such as insurance companies, government agencies, health centers, nursing homes, and hospitals. The online executive master of health administration offered by the University of Central Florida is a convenient program following a cohort model. Students need to have at least three years of relevant health management experience. New cohorts of up to 30 students are admitted each year, engaged in a dynamic online learning environment. There are no on-campus meetings required making this a great choice for working professionals. The University of Scranton features a top online Master of Health Administration taught by expert practitioner faculty. As one of the first CAHME accredited online programs, the University of Scranton is dedicated to educating health care administration professions without disrupting their professional work life. Students complete both synchronous and asynchronous elements online including faculty-student discussions, case study review, and lectures. There are six convenient start dates available each year and most students can complete the program in just 30 months.